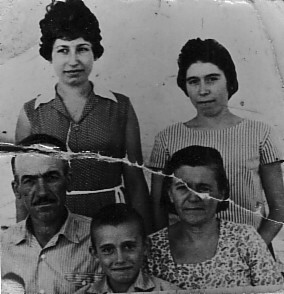 Above: My family- with my father, Georgios, my mother, Eleni, my brother, Nikolaos and sister, Katina. Above Right: At the panygiri of Agios Dimitrios. 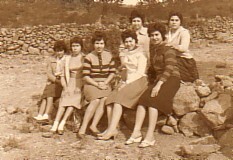 In the front are: Stratiada Kazantzi, my sister, Katina, Meni Giannikelli, Stella Giannaka and Eleni Kretza. I am in the back row with Anna Polihroni. Above: Outside our School. 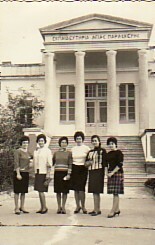 L-R: Anna Hatzistefani, myself, Mahi Souleli, Eleni Theologou, Marikoula and Stratoula Alvanou. 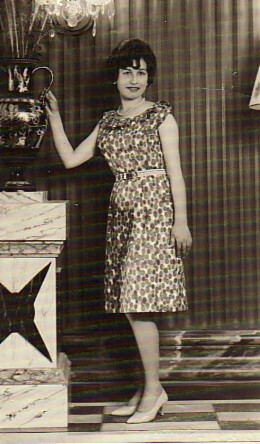 Circa 1964. Above: My engagement party in Agia Paraskevi. 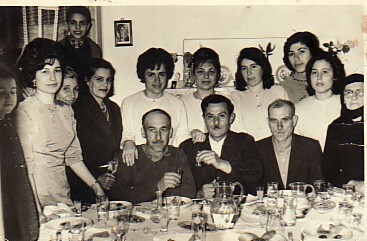 With Aurilia Giannaki, Efstratios and Maria Stefanou, Anna Hatzistefani, my father, Georgios, Stavritsa Hatzidimitriou, Panagiotis Hatzistefanis, my sister, Katina, Ignatios Hatzidimitriou, Anna Vavaliaros, Dimitra Giannaki and my grandmother, Maria Hatzoglou. 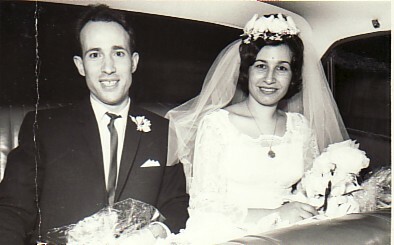 Above Right: With my husband, Nikolaos, on our wedding day. 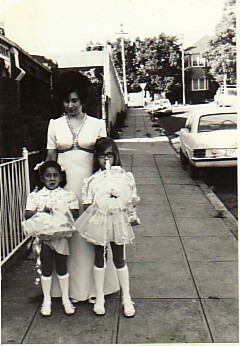 Above: With my daughters, Efterpi and Eleni. Above Right: Agia Paraskevi, 1975. 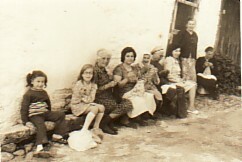 L-R: my daughter, Efterpi and Eleni; Vilelmini Giannaki, Irini Dimou, Evanthia Kazantzi, Aurilia Giannaki, myself, my mother, Eleni; and Evridiki Kretza. 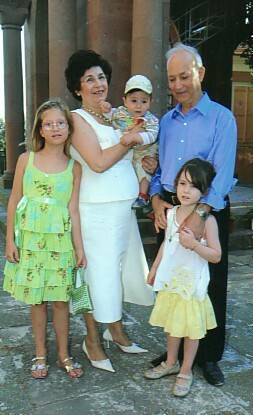 Above: With my husband, Nikolaos, and our grandchildren, Maria, Nikolaos and Konstantina.